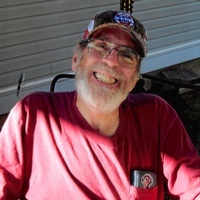 Mr. Leroy Saylor Comstock, born December 16, 1943 in Morgantown, WV, passed away peacefully at his home in Mt. Washington, KY on September 2, 2018, after a long-time battle with leukemia. Saylor was a graduate of University High School and played the French Horn in the marching band. He attended WVU briefly and then entered the Army. He served in the Army during the early 1960’s and received an honorable discharge. Mr. Comstock learned computer programming while he was in the Army and served most of his tour in Fort Knox, KY. He never saw combat even though the Vietnam War was going on during his time in the Army. Mr. Comstock retired from both Reynolds Aluminum Plant 1 and the Kentucky Department of Agriculture. He worked as a data processor and computer programmer for Reynolds Aluminum for over 30 years and as a computer programmer for the Kentucky Department of Agriculture for seven years. Saylor was an avid antique car enthusiast and a long-time member of the National Street Rod Association and the Okolona Street Rods. His pride and joy was his 1939 Pontiac, which he restored completely himself. He thoroughly enjoyed the car shows and went to every one he could, even when he was very ill. Among those that preceded him in death include his parents, Carl, Sr. and Julia Comstock; brothers, Carl, Jr. and William Comstock; and a sister, Antonia Rose Basile. He leaves to cherish his memory his children, Virginia (Ginny) Rae Turner (David), Clinton Comstock (Dianne), Wesley Comstock and LeeAnn Hughes; seven grandchildren; two great-grandchildren; and a sister, Roberta (Bobbie) Cumpston. Friends may call at the Schoppenhorst, Underwood and Brooks Funeral Home, 4895 N. Preston Highway (Preston Highway at Brooks Road), Shepherdsville, KY on Monday Sept. 10th from 1-8 PM and again on Tuesday, Sept. 11th from 10 AM until the time of the funeral service at 12 Noon with interment to follow. Memorial contributions may be made to the Leukemia Foundation of Kentucky. The obituary appears locally courtesy of Smith Funeral & Cremation Care of Morgantown.